The spectacular new musical THE WIND IN THE WILLOWS is the perfect summer treat for families! Stunningly brought to life in a spectacular new musical by Oscar-winning screenwriter and creator of Downton Abbey Julian Fellowes and Olivier-Award winning composer and lyricist George Stiles and Anthony Drewe, THE WIND IN THE WILLOWS will delight audiences of all ages! Actor, comedian and presenter Rufus Hound will play the amazing Mr Toad, joined by West End stars Simon Lipkin as Rat and Craig Mather as Mole, EastEnders actor Neil McDermott as Chief Weasel, with Coronation Street and Boy Meets Girl star Denise Welch as Mrs Otter and West End legend Gary Wilmot as Badger. 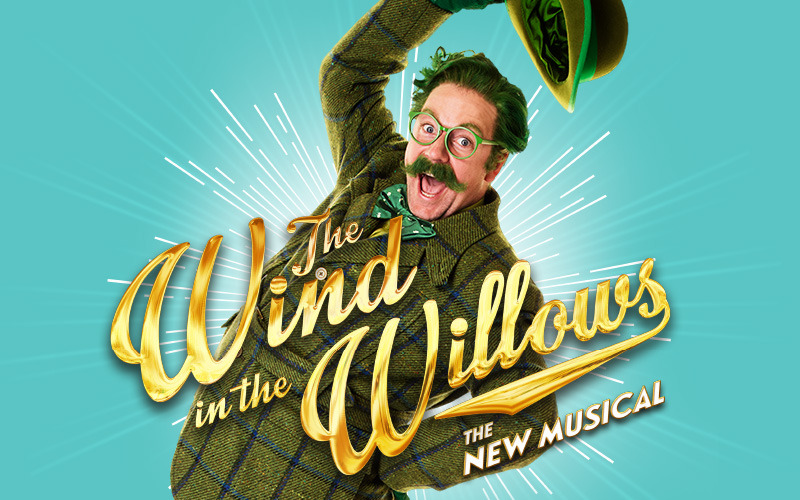 Featuring eye-poppingly beautiful design, exuberant choreography and a gloriously British score, THE WIND IN THE WILLOWS brings comedy, heart and thrills to the world-famous LONDON PALLADIUM. We have five pairs of tickets to be won to see THE WIND IN THE WILLOWS.